Celebrate the 100th anniversary of Walter Gropius’ Bauhaus with this lively, wide-ranging documentary exploring the history, present and future of the utopian design and architecture school and communal social movement around the world. 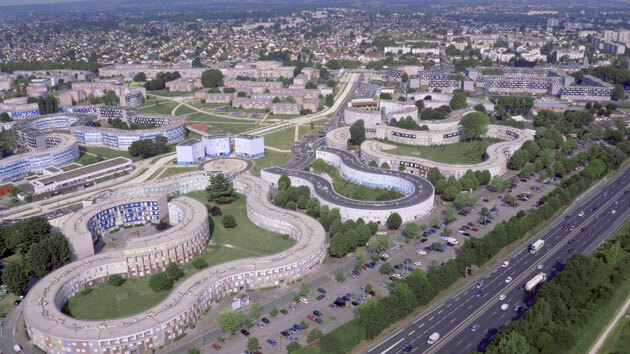 What does a Latin American favela have to do with an old workers’ settlement in Dessau? What is the connection between a Jewish socialist in a rural commune and the children in a school class in Stockholm? All of these stories concern visions and the practical attempts to make them come true. A radical artistic utopia, which is still having an impact on the world we live in today, was born in a tranquil town in Germany. Founded in 1919 by Walter Gropius, Bauhaus was supposed to unite sculpture, painting, design and architecture into a single combined constructive discipline. It is a synthesis of liberated imagination and stringent structure; cross-medial concepts that embellish and enrich our existence, illumination and clarity, order and playfulness. Bauhaus constituted one of the most significant contributions to everyday 20th-century culture and influential contemporary designs, from Apple to the avant-garde of sustainable and future-oriented architecture, still refer to it today. But Bauhaus was never just an artistic experiment. Confronted with the social conditions of that particular time, as well as the experience of the First World War, the movement concerned itself with the political and social connotations of design from the very outset. Hence, Bauhaus history is not just the history of art, but also the history of an era that stretches from the early 20th century to the modern day. 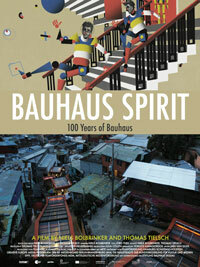 The film describes the fascinating story of the Bauhaus as the statement, the failure and the renewal of a social utopia. And it tells of artists, scientists and architects today, who, in their examinations of current challenges also relate to the Bauhaus. That way, the story of this unfinished utopian project with its manifold exciting cross-references unfolds before our eyes while always keeping in touch with the questions still topical today: How do we want to live, where do we want to go? On the occasion of the Bauhaus centennial, the film traces the history of the school from its Weimar era beginnings through its continued impact in architecture, design and sustainable living today. A visually stunning film about modern Japanese architecture, its roots in Japanese tradition, and their relationships to modernist Scandinavian design. With two Pritzker Prize winners, Tadao Ando and Sverre Fehn. Sustainable design in the tropics: Puerto Rican architect Fernando Abruna Charneco is a pioneer of locally-suited green buildings.